Well here is the flock so far. I actually added one more so now we have 4. 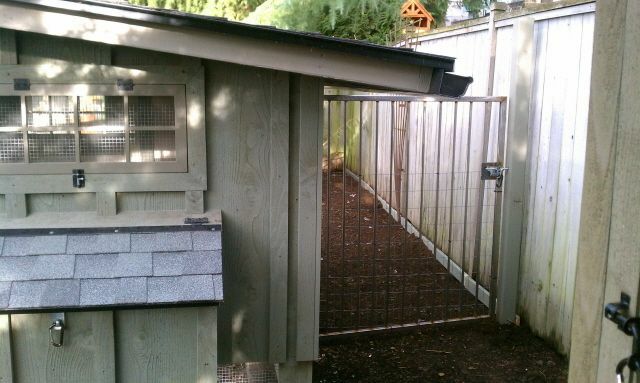 I am in the process of building a coop and will post pics and start a thread for it once I really get going. 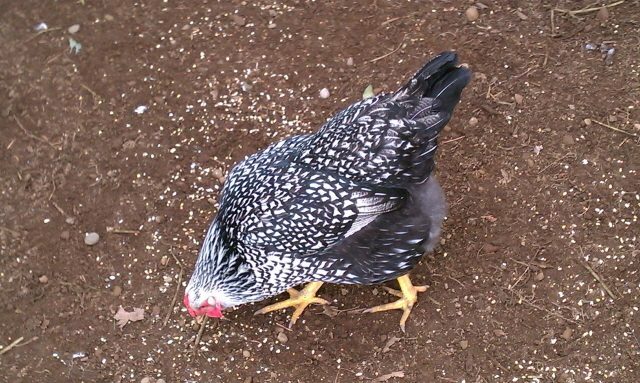 So far we have one of each a silver and golden laced wyandotte, black australorp and a barred rock. Well it has been a while and no updates so here is the skinny. 4 chicks turned into 3 chickens had to get rid of one as it turned out to be a rooster and they are not welcome in my neighborhod. Ended up getting another 3 to add to the flock also. They will hit the coop in a few weeks as they are about 6 weeks old now. 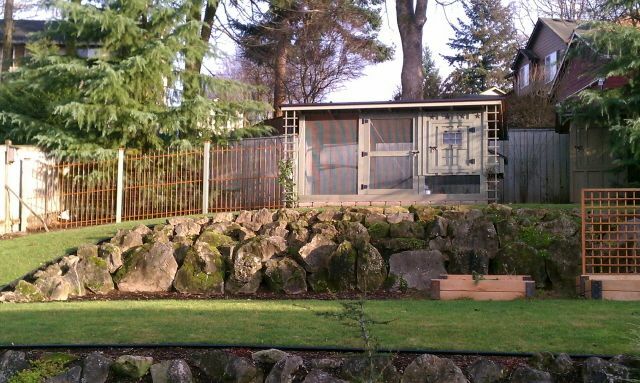 I ended up puting a fence around the coop as we were tired of them eating everything in the yard. Also they loved to hang out on our deck and well we all know what comes out of the chickens and it sticks to your feet if you are not carefull. 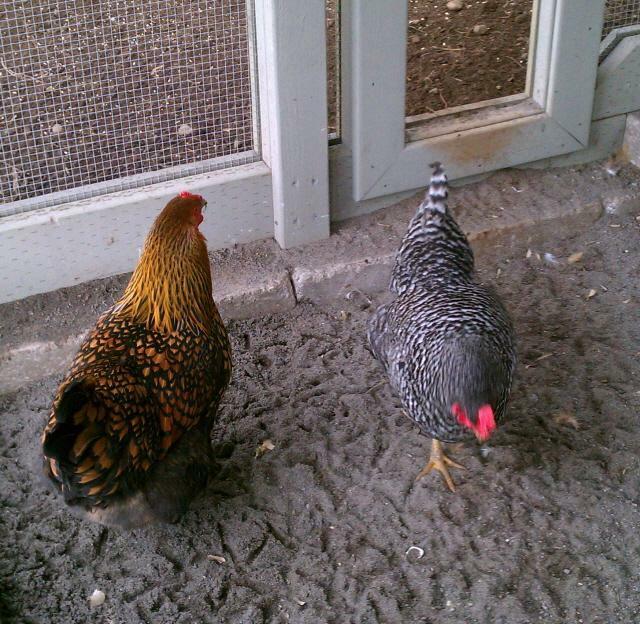 Mable or Golden Laced and Marilyn our Barred Rock who is the leader of the pack. Our other three who are about 5 months younger than the other girls. 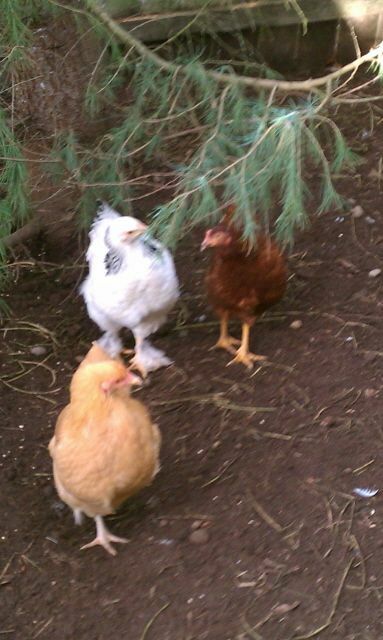 Brenda light brahma, Buffy the buff orp and Ruby Sue the RIR. So far everyone hangs out in there own pack but someday maybe they will all hang together. 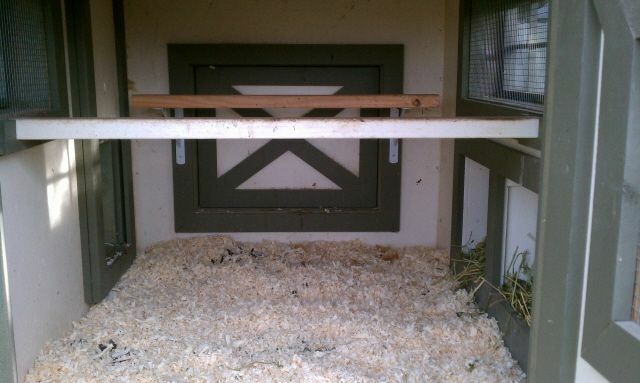 Had to add another roost so they little ones would not get pecked at. This holds all my food, shavings and all other chicken related items. 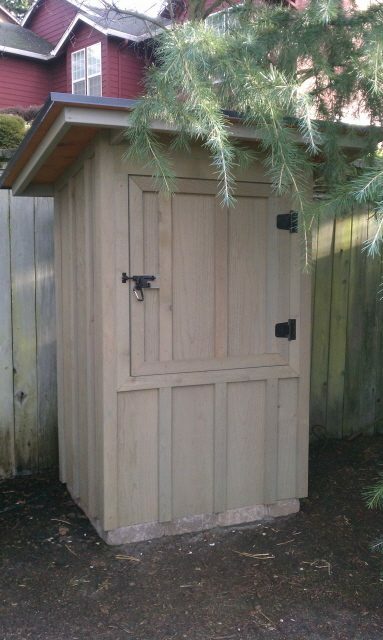 After having this coop I like it but would rather have had a bigger one so we could walk into it to clean and gather eggs. You learn as you go and even after all the questions and reading I did well someday I will have the ultimate coop. Thanks for looking! And also thanks to the Witchita Cabin Coop for the inspiration.